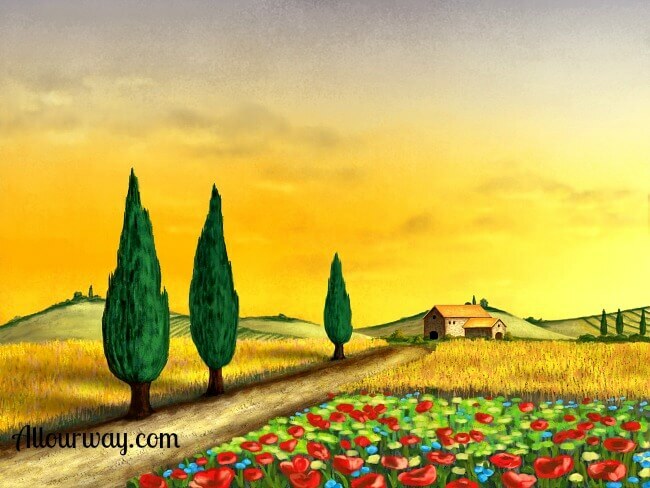 Adding An Italian Flair to Your Life! If we could have one multi-purpose seasoning and rub in our kitchen it would be this one. We put it on chicken . . . .we put it on vegetables . . . . we put it on pork . . . .we put it on our Thanksgiving turkey . . . . and last but not least we sprinkle and rub it all over our ribs. . . . .yum!! We store it in a container that has large holes . . . . you need the large holes so that the pepper flakes pass through. We hope that this will be a favorite of yours too. 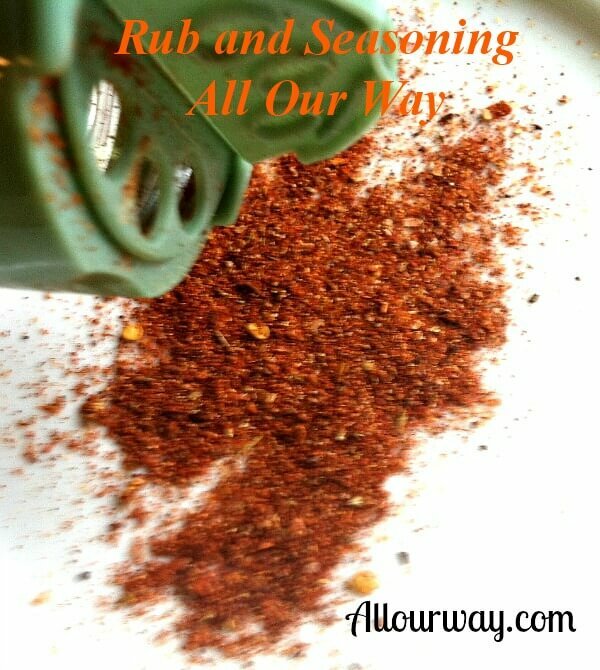 This is a very flavorful rub and seasoning mix that is very versatile. Its base is chili powder and cumin with three different peppers. The taste is somewhat southwestern. Combine all the ingredients in a bowl and mix well with a whisk. Place in a large shaker container and store at room temperature. 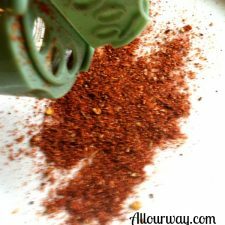 Be sure your shaker lid has large holes so that the red pepper flakes can be sprinkled along with the rest of the ingredients. Note: We welcome and encourage sharing links to All Our Way ©2014, but please do not copy or paste recipes or content to any media or websites without written permission. If you want to share the information, please link to this post. Grazie. Making your own seasoning blends are not only delicious, but also cost-effective. So much cheaper than buying them ready made in the store. You can blend them just the way YOU like…more of some things, less of others. These would make a great “food gift idea” too.